There are several Job Interview Tips that can help you land the job that you want. Remember that getting an interview for a new job is fairly easy. However, getting past the interview and landing the job is the hard part. These Job Interview Tips will help you succeed with your interview. Dress appropriately. This cannot be stressed enough. You can never over-dress for a job interview – even if the location observes a casual dress code, it’s better to dress up than down. During your interview preparation, invest in a couple of inexpensive coordinating pieces such as a jacket and slacks, or skirts for females. A nice pair of shoes, several shirts and a few ties for males will create a nice wardrobe for the interview and beyond, and can be done on even the smallest of budget. Relax. A potential employer can tell when an applicant is stressed and this can sometimes be off-putting. It can also have an impact on your answers to interview questions. The job market is tight and a lot can ride on a job interview, and applicants stress themselves out trying to impress the interviewer. Just remind yourself that the right job is out there, and be yourself. Let your personality shine through, but remain professional at the same time. It’s a fine balance but can be done. Think positively. Your attitude shines through in your speech and mannerisms, and a potential employer can tell if you think poorly of the company or yourself. Go into the interview with a good attitude and tell yourself that you will land the job. A positive attitude is perhaps the most important part of the whole package that makes up you. Practice. Find a friend or relative that has experience with job interview tips and techniques, or seek the services of a local job service agency to help you practice. Go over your answers to common interview questions and help prepare for any tough job interview questions that an interviewer may ask of you. During your interview preparation, research the company. Interviewers almost always finish up an interview by asking you if you have any questions, comments or concerns for them. Before the interview, come up with a question or a comment about the company so you can look informed and avoid an awkward silence as you struggle for something to say. Use these Job Interview Tips to help you when you meet a potential employer for the first time. Be prepared and if you don’t snag the first job that you find, look at each interview as practice and a chance to learn and improve for the next interview. 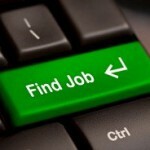 Following these top Job Interview Tips ensures that you are on the right job interview track. Good luck! Hey this is a wonderful blog I cant wait to return and read more. The voice of ratoianlity! Good to hear from you. Hey, that’s the graeestt! So with ll this brain power AWHFY? Great for the post. Very informative, keep up with the good work! Jobs! please I need a do at home job that rellay make real money and free start?? ?I need some jobs that I can do during my spare time at home that rellay make real money to pay all my debts and needs everyday. I read some sites some of you guys suggested in the similar questions but desperately known that not applicable to my area. I am living in Korea but couldn’t still speak their own language. Thanks for everything you can share. GODBLESS!!! 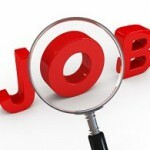 Try reading our article on Legitimate Work at Home Jobs, http://www.gogettercareers.com/blog/category/work-at-home-jobs/. Awesome for the post. Very informative, keep up with the good work! | I dona€™t even know how I ended up here, but I thought this post was great.| I don’t know who you are but certainly you are going to a famous blogger if you aren’t already 😉 Cheers!